The Kanal Bedroom Set features an impressive and striking four poster bed, magnificently accented with matching case pieces. 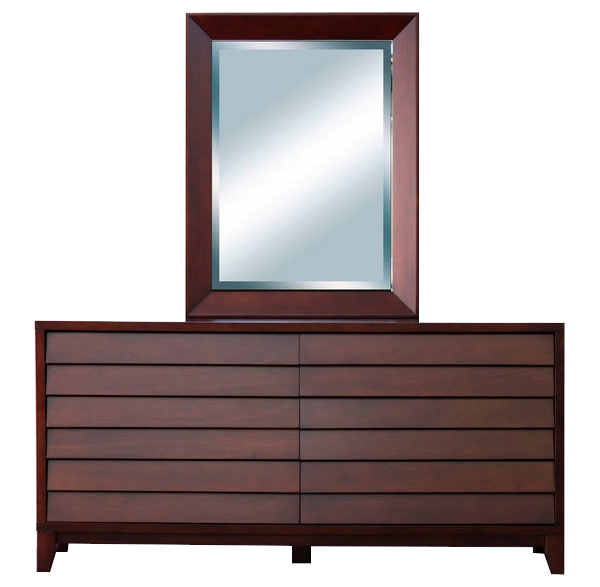 The elegant Kanal Bedroom Set from Haiku Designs is a wonderful combination of two distinct furniture styles. 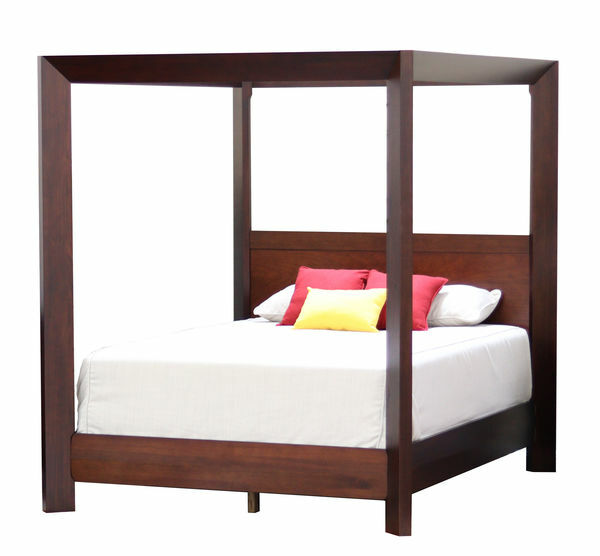 To begin the Kanal Canopy Bed is a beautiful expression of modern and contemporary styles featuring a low-profile silhouette, minimalist lines, and a perfectly portioned headboard to side rail height resulting in a look of balance and harmony. 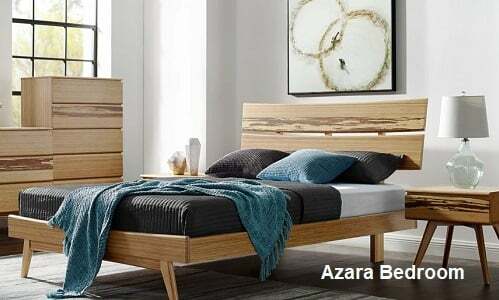 Add in the sleek canopy frame with the dramatic impact of 4 posters, and our Kanal Bedroom Set becomes a unique bedroom collection that creates an exceptional space of rest, relaxation, and enjoyment. 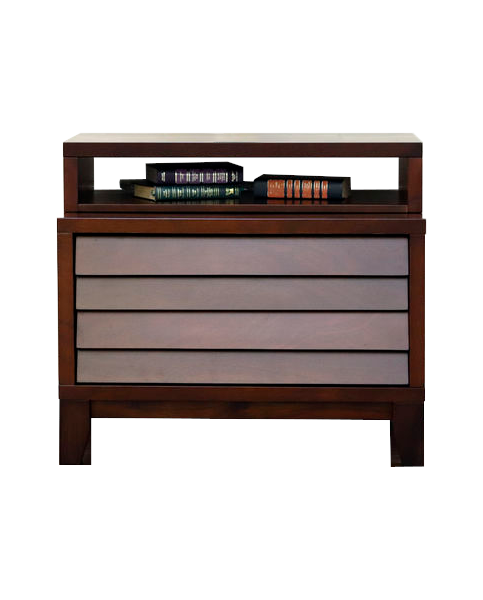 Made from solid wood and wood composites and finished with a 6-step hand rubbed and polished process giving it a deep, rich Mocha finish, the Kanal Bedroom Set meets California Off-Gas emissions standards, the strictest standards in the United States for toxic emissions. 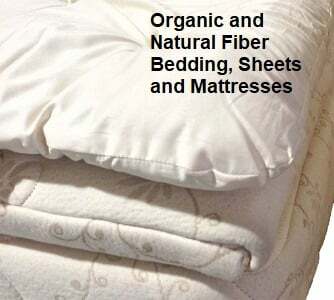 What that means is that you can rest easy knowing that your sleeping environment is not only a place of rest and enjoyment but also a place free of toxic gasses. 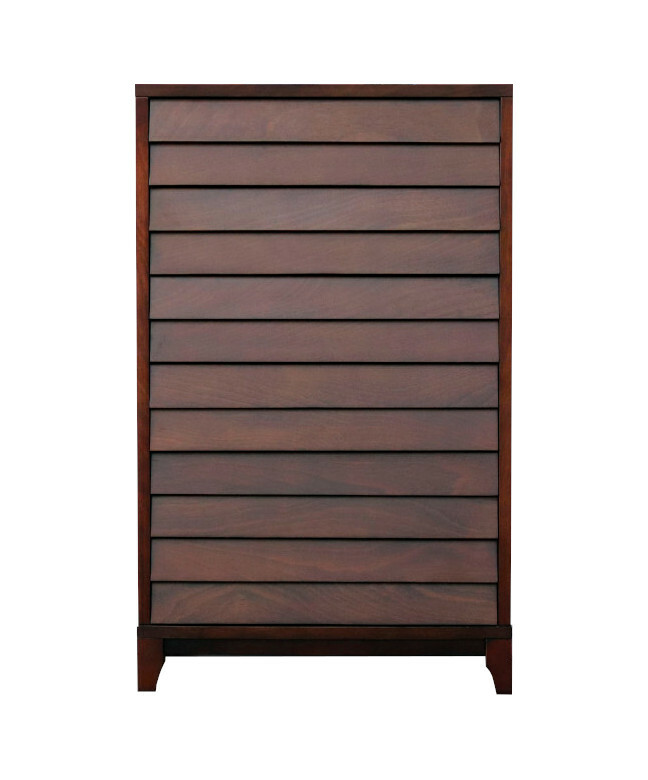 The Kanal case pieces feature high-quality corner blocked and bottom braced drawer construction with metal glide rails and ball-bearing sliders.